Huge numbers of tiny marine animals, known as zooplankton, migrate between the surface ocean and the twilight zone (200 – 1,000 m below the surface) everyday; it is the largest migration event anywhere on the planet. How much carbon do these animals transport with them and how much do they leave behind sequestered in the deep ocean? 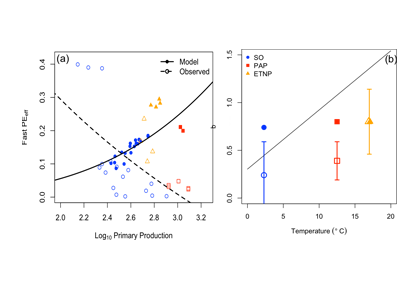 In a recent publication in Global Biogeochemical Cycles, Archibald et al. 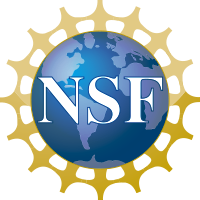 (2019) used a simple model to estimate the magnitude of carbon flux into the twilight zone from zooplankton vertical migrations and observed that it was a significant contributor to carbon export on a global scale. The study also revealed strong regional patterns in migration-mediated carbon flux, with the greatest impact on export occurring at subtropical latitudes (Figure 1). Figure 1. 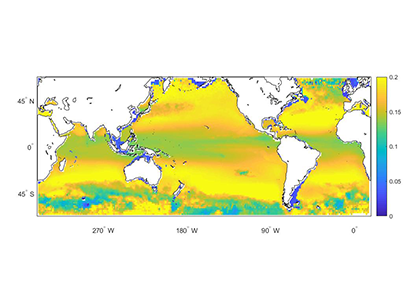 Percent increase in the modeled carbon export flux out of the surface ocean as a result of zooplankton vertical migrations. 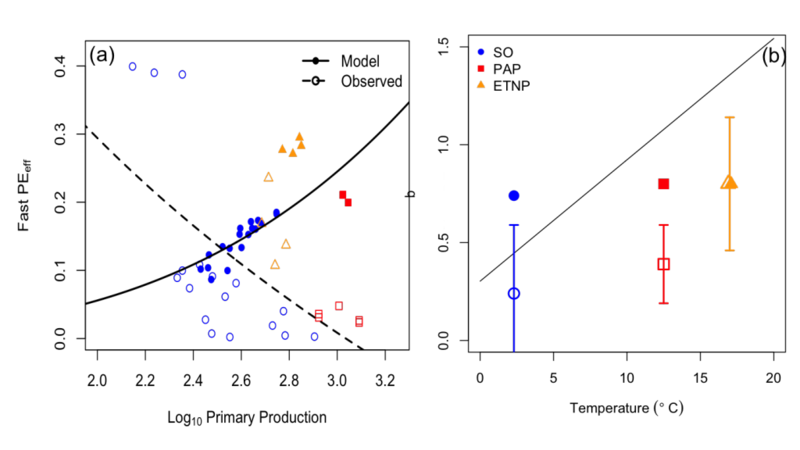 Migrating zooplankton also consume significant amounts of oxygen at depth, generating a local maximum in the oxygen utilization profile at depth within the migration layer. 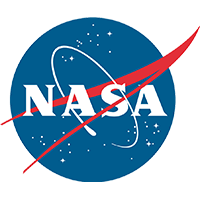 By including the effect of the metabolism of migrating zooplankton, the model is able to produce a more detailed picture of oxygen utilization over the twilight zone. 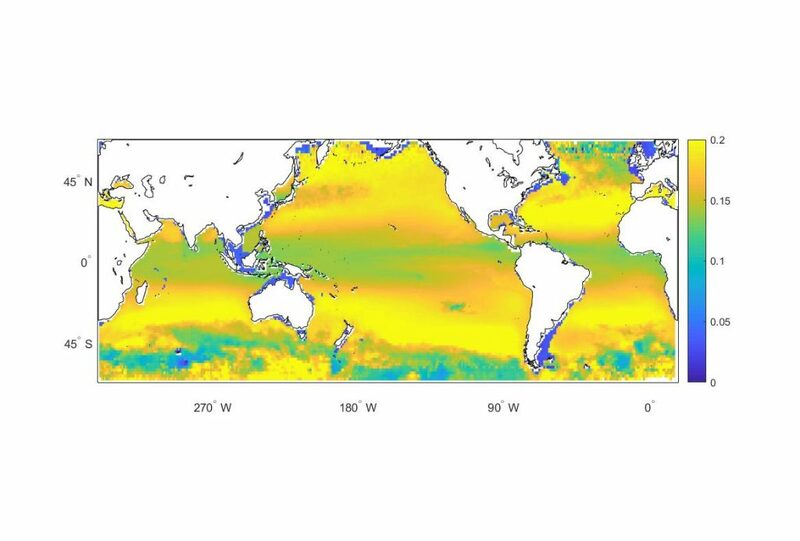 The model in this study effectively simulates the complex phenomenon of zooplankton vertical migrations, providing a simple framework that will allow researchers to investigate how this key component of the global carbon cycle might change under future climatic conditions. 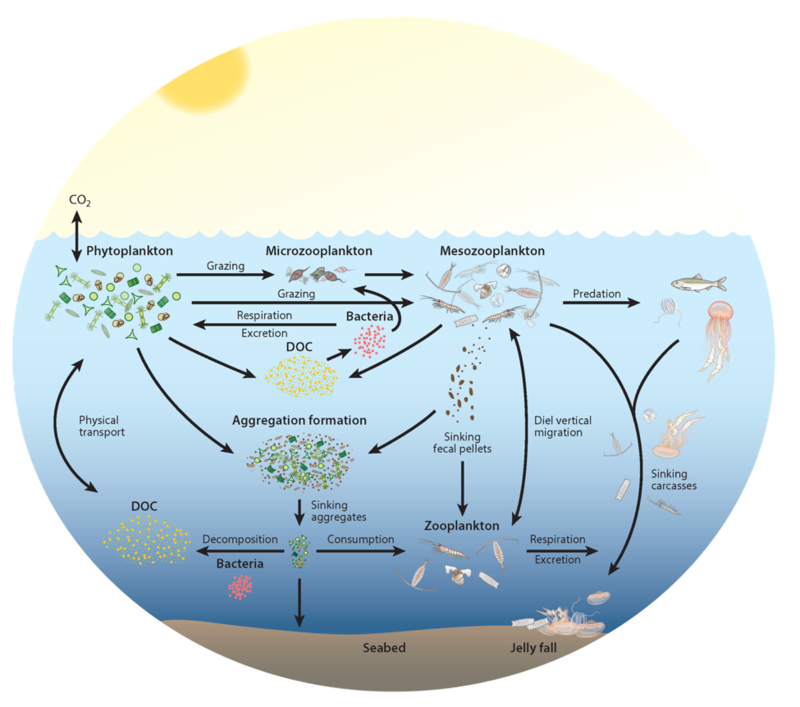 For example, if increased stratification leads to a greater representation of small cells in phytoplankton communities, then zooplankton migration-mediated carbon export is expected to make up a proportionally larger fraction of the total carbon export flux. When designing sampling we make generally accepted assumptions that what we collect is representative of what is “normal” or naturally occurring at the place, time, and depth of collection. However, a recent study in Science Advances revealed that this might not be true. 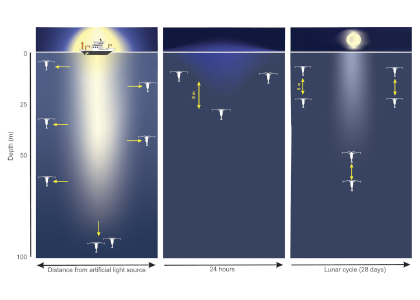 During round-the-clock shipboard sampling, lights used at night can actually be a form of pollution that disrupts the diel cycle of zooplankton vertical migration. 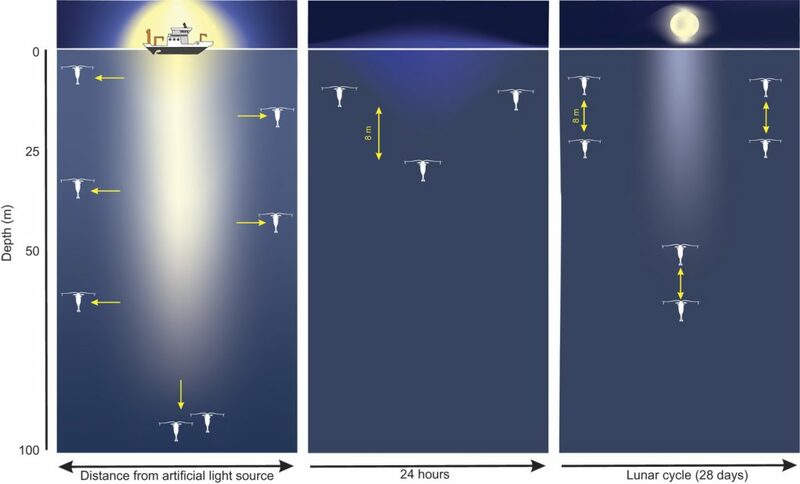 Effect of light pollution on krill from a ship (left), diel vertical migration in natural dark conditions (middle) and effect of moonlight (right). Figure by Malin Daase (UiT). Using a Autonomous Surface Vehicle the authors documented zooplankton behavioral patterns of light avoidance never previously seen. The study compared results from high Arctic polar night (unpolluted light environment for an extended time), to near ship samples. During months of near constant darkness in the Arctic, there was still a diel vertical migration of zooplankton limited to the upper 30 m of the water column and centered around the local sun noon. Contrasting the results from light-polluted and unpolluted areas, the authors observed that the vast majority of the pelagic community exhibit a strong light-escape response in the presence of artificial light (both ship light and even headlamps from researchers in open boats). This effect was observed down to 100 m depth and 190 m from the ship. These results suggest that artificial light from traditional sampling platforms may bias studies of zooplankton abundance and diel migration within the upper 100 m. These findings underscore the need for alternative sampling methods such as autonomous platforms, particularly in dim-light conditions, to collect more accurate and representative physical and biological data for ecological studies. In addition to research cruises and sampling, anthropogenic light pollution from predicted increases in shipping, oil and gas exploration, and light-fishing are anticipated to impact the diel rhythms of zooplankton behavior all around the globe. To accurately assess the impacts of climate change, we need to understand how atmospheric carbon is transported from surface waters to the deep sea. Grazers and filter feeders drive the ocean’s biological pump as they remove and sequester carbon at various rates. This pump extends down into the midwater realm, the largest habitat on earth. Giant larvaceans are fascinating and enigmatic occupants of the upper 400 m of the water column, where they build complex filtering structures out of mucus that can reach diameters greater than 1 m in longest dimension (Figure 1A). Because of the fragility of these structures, direct measurements of filtration rates require us to study them in situ. We developed DeepPIV, an ROV-deployable instrument (Figure 1B) to directly measure fluid motion and filtration rates in situ (Figure 1C). Figure 1. (A) Traditional view of a giant larvacean illuminated by white ROV lights. 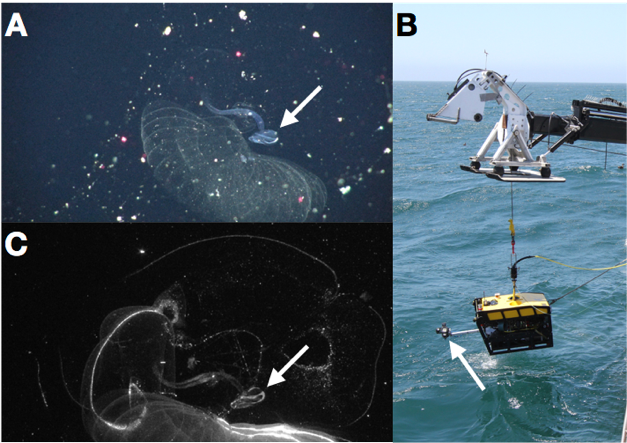 (B) DeepPIV instrument is seen attached to Monterey Bay Aquarium Research Institute’s (MBARI) MiniROV. (C) DeepPIV-illuminated interior view of a giant larvacean house, where particle motion in ambient seawater serves as a proxy for fluid motion. 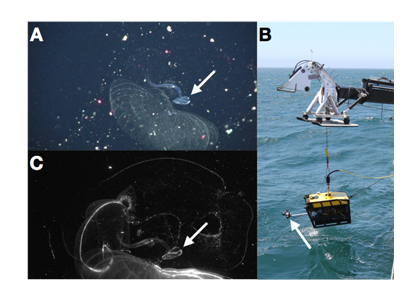 White arrows in (A) and (C) indicate larvacean head/trunk; white arrow in (B) indicates DeepPIV. The filtration rates we measured for giant larvaceans are far greater than for any other zooplankton filter feeder. When combined with abundance data from a 22-year time series, the grazing impact of giant larvaceans indicates that within 13 days, they can filter the total volume of water within their habitable depth range (~100-300 m; based on maximum abundance and measured filtration rates). Our results reveal that the contribution of giant larvaceans to vertical carbon flux is much greater than previously thought. 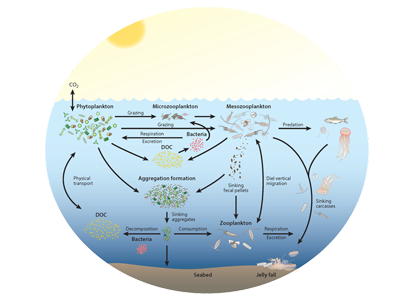 Small larvaceans, which are present in the water column in even larger quantities than giant larvaceans, may also have a measurable impact on carbon fluxes. New technologies such as DeepPIV are yielding more quantitative observations of midwater filter feeders, which is improving our understanding of the roles that deep-water biota play in the long-term removal of carbon from the atmosphere.